All aboard for your adventure around Equestria! Under this year’s convention Motto “Around Equestria in 80 Days”, you can join Canni Soda on her exciting trip to explore the most beautiful, most adventurous and most spectacular places. Tickets can be purchased from now on on our ticket site. Of course, a real classy adventure trip is not complete without some prominent voyagers to share one or two worthwile conversations with. 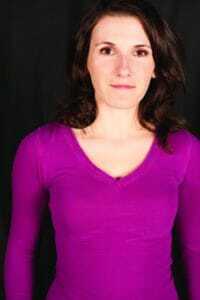 We are hence proud to announce our first Guest of Honor – Kelly Sheridan, voice actress from Canada. Within her more than 20 years of experience, she has not only lent her voice to our most beloved reformed villain and best new student Starlight Glimmer, but also to S assy Saddles, Misty Fly and more show characters. She is also known from other animated series and films as the voice of Barbie, The Scarlet Witch and many more. So there´s more than just one reason to be excited to meet her at GalaCon 2018! More guests of honor are yet to be announced. For details about tickets, please see our ticket site or ask via e-mail at tickets[at]galacon[dot]eu.